"I prayed and asked God. ‘What has kept me in the industry? '...and ‘the elements' came (wind, earth, fire and water)," said Grammy nominated VaShawn Mitchell about his upcoming new album "Elements" (VMan Enter/Tyscot). When I mentioned how outstanding the musicians, especially the guitar, are in the live music video of the project's first single "God Can Do Anything," which plays as soon as you log onto his website, he said, "Most are from Nashville. Some I know on regular bases...I have several guitar players!" 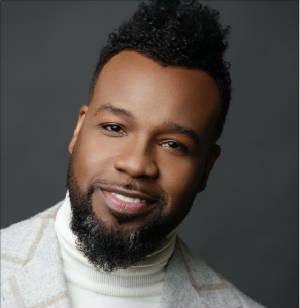 VaShawn Mitchell, a singer/songwriter/producer, was noticed by Bishop Larry Trotter and hired as Minister of Music at Chicago's Sweet Holy Spirit Church. Though he has a degree in Psychology, music is his calling. In 1998-99 he debuted as a solo artist with "So Satisfied". His break-through single was "Nobody Greater" in 2011, which stayed on the top of the Billboard Gospel Charts for nine weeks. "Part of it is also giving God the power," VaShawn said about the meaning of the upcoming album "Elements." "We have to put our trust and hope in Him." Born in Harvey, Illinois Mitchell's achievements so impress his hometown that they names a street after him. As producer he has worked on projects for Grammy Award winners Smokie Norful and Vanessa Bell Armstrong. He has garnered a record breaking 11 Stellar Award nominations, as well as two Grammy Award nominations. VaShawn has won two Dove and a Stellar Award for his music. In 2014 he was a featured artist on Billboard nominated JJ Hairston and Youthful Praise's single "Nothing Compares." "It's amazing," Mitchell said about the "Elements" project to be release this summer. "It's a fresh body of work that will bless generations to come such as ‘Wind of God is Going My Way.' This is for church goers and hopefully those who just want to be encouraged." 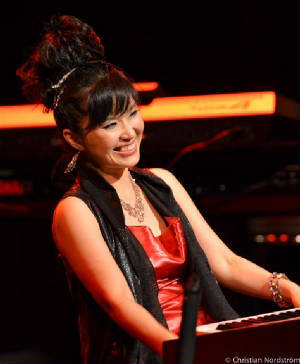 World renowned Smooth Jazz pianist Keiko Matsui releases another Shanachie Entertainment project called "Echo," where the Japanese icon gives love and light via the piano. Keiko released the "Echo" project on February 22, 2019 with a CD release party at The Rose in Pasadena, California and a debut at #2 on iTunes. "I'd been touring so much so last summer...I stopped touring to concentrate...for a month. I received inspiration. It's hard to explain in words the way of life and love, and light...many emotions expressed through this album," Matsui said passionately. "Songs started coming to me that same month. Four or five songs were very strong, did not go away. I said, ‘I know this is a sign.' So I went to record them." That passion is "felt" when you listen to "Echo," which features Grammy Award winning Kirk Whalum (sax), Grammy nominated Paul Jackson, Jr. (guitar) and Grammy nominated Marcus Miller (bass). Produced by Keiko and Bud Harner, who also lends vocals, the project offers ten selections. "The first song...the first time I hear this baseline it became the opening song...the melody of the blues," she said. Keiko Matsui is referring to "Unshakeable," which is one of my favorites on the project because of the use of the horns (trombone, trumpet and alto sax) are done in an outstanding way and Keiko on the piano keys seem to uplift that tremendous sound in a way that Paul Jackson, Jr,'s guitar playing could make you feel "unshakeable." I also like #2 "Moon Over Gotham," featuring Paul Jackson, Jr., because it's a masterpiece that is simple but intriguing because of the way Keiko's fingers fly on the piano. My next favorite is the title track and first single #3 "Echo," featuring Marcus Miller (bass), because it sounds like a song on the soundtrack of a fairytale movie - I had to reach for a tissue. The fourth selection "Espirt," featuring Kirk Whalum (sax), is a favorite because the two makes it is so soulful I forgot for a minute both are considered "Smooth Jazz" musicians. I'm ending my favorites with #8 "Now is the Moment" because Keiko brings the light with her piano. "Echo (the name) came after all the recording sessions," she pointed out about the title track.